Millions of tourists and locals flock to famous Fort Lauderdale clubs for long nights of dancing and drinking. When you go to a club for a fun night on the town, the last thing you’d expect is to be involved in a vicious brawl. Fights and attacks can occur for several reasons, including late hours and the mixed crowd at the establishment. The inhibition-loosening flow of liquor can lead to rowdy and even violent behavior. Seemingly minor disputes can easily escalate into a punch, a kick, or a slap in the face. Serious conflicts have sometimes been known to end with a knife wound or a gunshot being fired. If you were attacked during a fight at a South Florida nightclub, having the right law firm on your side can significantly increase your chances of a financial recovery. At Yeboah Law Group, P.A., our Fort Lauderdale club accident and injury attorneys have a track record of success in nightclub cases. We hold all liable parties accountable, including the attacker as well as the nightclub owner who failed to properly protect you. If your loved one was killed in a club, we’ll work even harder to make sure you obtain justice on his or her behalf. If unsafe conditions alone cause an injury, our Miami-Dade lawyers pursue compensation from the property owner or management. Stabbing and assault attacks can cause a lifetime of pain. The physical injuries may leave a person with scars, paralysis, nerve damage, internal bleeding, head trauma, and other life-threatening or permanent injuries. Injuries from fights or any type of accident often require surgeries and can cause extensive pain and suffering, an inability to work, and long-term emotional and mental trauma. We demand compensation for all your expenses, pain, and losses. 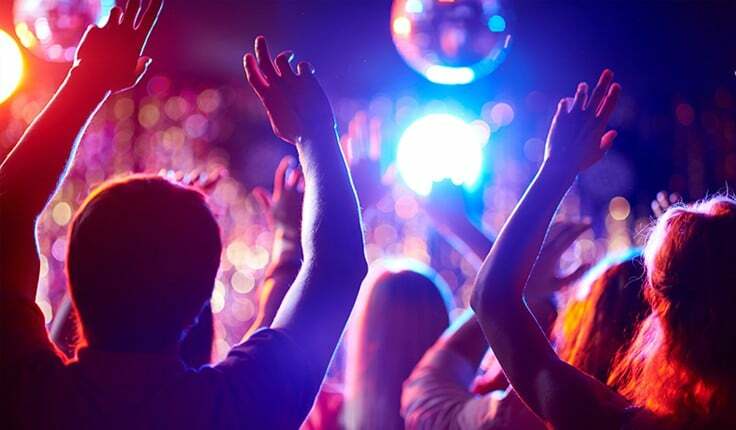 If someone was killed in a nightclub attack or altercation, we bring wrongful death claims on behalf of the family members of the deceased victim. Negligent security can also include the use of excessive force by a bouncer if they cause any additional physical harm or exert more force than necessary to deter threat. In negligent security cases, we investigate if there have been other fights and brawls at the club and how many times the police have been contacted before. Dram shop laws. Unlike other states, Florida nightclubs can’t be sued if someone who was knowingly intoxicated was served liquor and then caused a car crash or accident. There are some exceptions, however. Our Fort Lauderdale nightclub injury attorneys can bring claims if someone under age 21 who was served alcohol by the bar injures them. Holding the nightclub owner accountable not only means getting compensation for your injuries or for the death of a loved one. Large verdicts and settlements are an effective way of forcing the nightclub to make sure subsequent assaults are prevented. When you are attacked at a nightclub or bar, the assaulter may not be the only party to blame. Often the nightclub or bar ownership can be held liable when you’ve been stabbed, assaulted, or suffered physical harm. If you were hurt because the property wasn’t safe or you were the victim of a criminal attack, arrange to speak with a Miami-Dade nightclub accident lawyer. You can call Yeboah Law Group at 1-800-TELL-SAM or complete our contact form for an appointment.